A magic bullet, a silver bullet, a speeding bullet, this is LAZER’s Bullet. LAZER helmets will present its new aero helmet, Bullet, on stage 2 of the 2017 Tour de France in Dusseldorf, Germany. 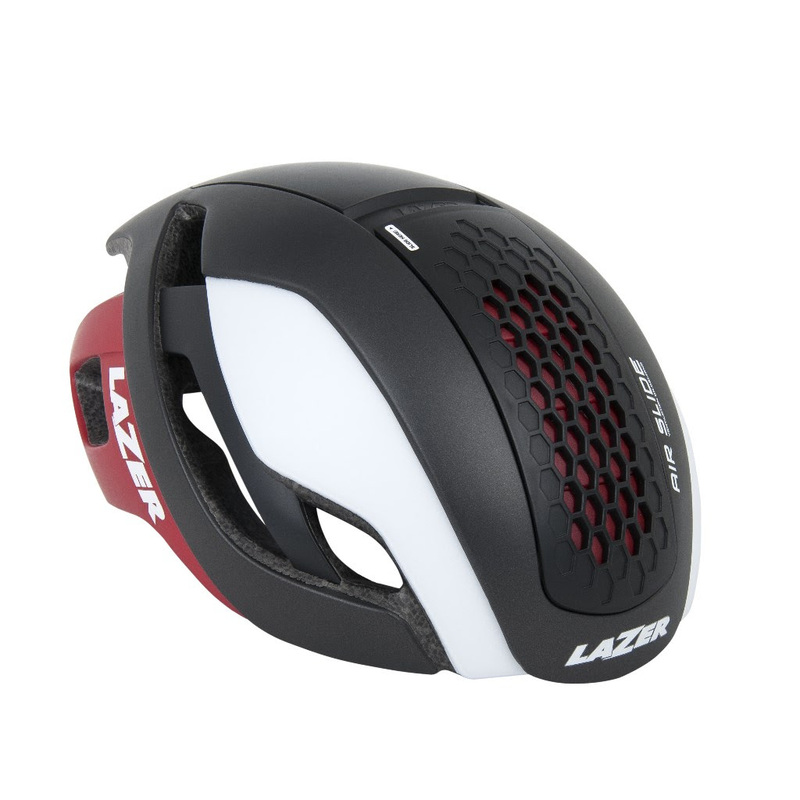 The newest offering enriches the quiver of helmets offered on the high end of LAZER’s range providing the competitive cyclist a technically advanced aerodynamic option for the road. Cyclists today are savvy and demand the most out of their equipment to gain every legal advantage over Mother Nature’s forces, in this case aerodynamic drag. The Bullet was designed with painstaking attention to detail in order to give the rider every aerodynamic advantage without sacrificing comfort or style. This is LAZER’s creed- innovation at every turn for nearly 100 years. The aero road helmet is not a new concept, the amount of wattage gained through the use of one are some of the largest of any equipment a cyclist can use vs the price point. Designing a helmet that pushes the boundaries of the traditional road helmet, creating something of a hybrid of road and TT helmet is a therefore a necessary part of any high-end performance helmet manufactures’ line. As our understanding of aerodynamic forces and how to fight against these factors increases, the parameters of design are pushed to new horizons. The Bullet eschews the typical venting for a sleeker design with unbroken surfaces creating the positives of less drag and more wattage gained for the cyclist. In response to the loss of venting over the helmet, LAZER has designed the Bullet with a vent called the Air Slide in the front of the helmet. This can be not only open or closed to provide more ventilation when needed but can also be replaced by a completely Solid Air Slide replacement cap in order to offer the maximal aerodynamic advantage. The performance of the Bullet against drag was carefully designed to not forfeit the user’s comfort even on a hot day with little breeze. 2 years of intense research and development in LAZER’s Antwerp HQ went into the production of the Bullet. Additionally, the Bullet has been rigorously tested in the wind tunnel at Flanders Bike Valley, in which LAZER is a founding partner, in order to ensure the technically advanced design is correct. The Bullet has also been tested by our top athletes, including Andre Greipel, for their feedback under the true conditions a cyclist faces while riding. Combining all available testing resources along with forward thinking innovation is the basis for all LAZER designs. It includes two interchangeable ventilation Air Slides, one with convertible ventilation system and one solid.